Where grain or flour is stored, there you have the mice. The miller is happy when his friend, the cat, visits the mill to look for mice. 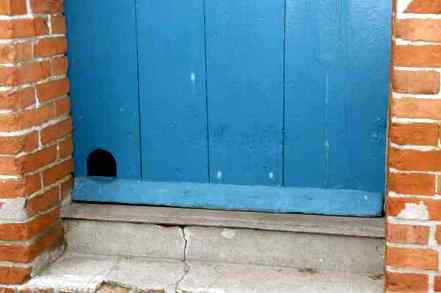 For the cat there is a special easy entrance, that is the hole for the cat in the side door next to the waterwheel.